Florida International University psychologists Elisa Trucco and Matthew Sutherland are in a race to find answers about the impact of e-cigarettes on the adolescent brain. Calls to the FIU Center for Children and Families have been increasing as concerned parents are trying to understand the effects of e-cigarettes. Trucco and Sutherland are leading one of the first studies to examine decision-making as it relates to vaping devices. E-cigarette use, or vaping, among teens has skyrocketed in recent years. According to the surgeon general, vaping among high school students increased by 900 percent from 2011 to 2015. The nation is now scrambling to find effective ways to discourage vaping and educate misinformed teens and their parents on the dangers of e-cigarette use in what the FDA is calling an epidemic. Adolescents are particularly vulnerable to the adverse effects of nicotine because their brains are still rapidly developing, according to Trucco and Sutherland. Research is critical to help clinicians improve prevention programming and assist policymakers in deciding how to continue regulating these products, they said. Their current project—Antecedents and Consequences of Electronic Nicotine Delivery Systems (ACE)—is funded by the National Institutes of Health as part of a collaborative research study between the FIU Center for Children and Families and the Research Center in Minority Institutions. 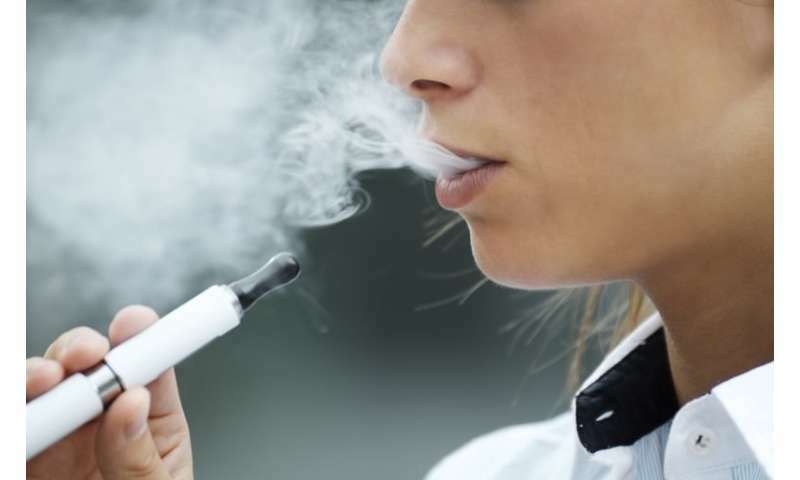 They are studying what influences an adolescent's decision to use or not use e-cigarettes, vaping devices or other electronic nicotine delivery systems and how that decision may affect other risky behaviors and the developing brain. While Trucco and Sutherland are currently recruiting participants for the study, there are some facts they want parents to know. 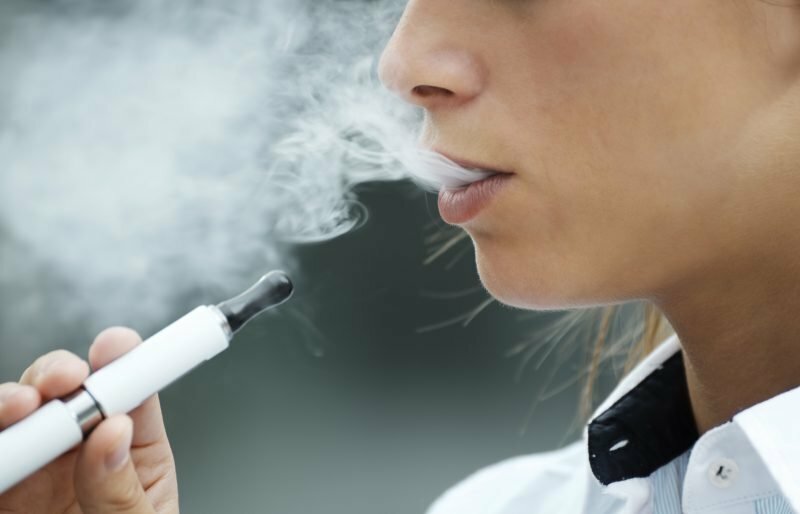 Most types of e-cigarettes, including the most popular brand Juul, contain nicotine, the addictive drug found in traditional tobacco cigarettes. One Juul pod contains roughly the same amount of nicotine found in 20 cigarettes (or one pack). Nicotine is highly addictive and can cause brain changes leading to compulsive use of e-cigarettes. Although e-cigarettes were developed in part to help adult smokers cut their tobacco-use and to provide a "healthier" alternative, no study has yet been conducted that can provide information on the long-term effects of e-cigarette use. Due to the recent dramatic increase in e-cigarette use, preliminary findings are now showing that there is a negative effect on heart and lung function associated with e-cigarette use. However, there is still no definitive answer on whether these risks outweigh the benefits of switching from traditional tobacco cigarettes. Teenage e-cigarette users are actually at a higher risk of smoking tobacco cigarettes compared to non-users. More than 30 percent of adolescent e-cigarette users start smoking traditional tobacco cigarettes within six months. Although e-cigarettes do not produce smoke, breathing in the second-hand vapor is not harmless. The aerosol from e-cigarettes contains many potentially harmful chemicals, including lead and other heavy metals. It also has flavorings including diacetyl, which has been linked to lung disease. The second-hand vapor can also contain nicotine, which when inhaled by non-users can increase their risk of becoming nicotine dependent. There is also the danger of third-hand exposure, which occurs when residual nicotine from the second-hand vapor remains on surfaces and is absorbed through unintentional ingestion or through the skin via contact. E-cigarettes such as Juul are popular among teenagers—are they harmful?